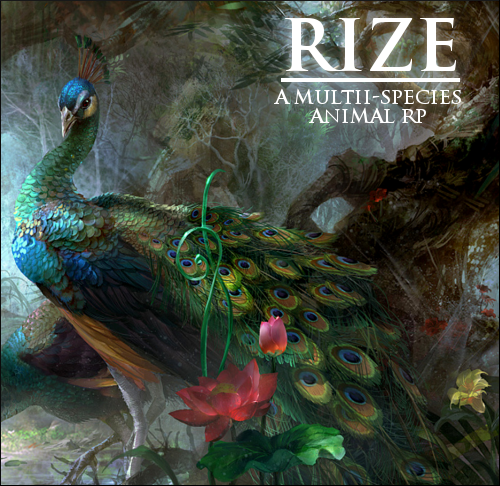 Welcome to Rize, a free-form, multi species animal RP. Here you will find no site plot, and very few restrictions. Our site focuses on the roleplayer as a person and gives each member a unique control over their fate. We feature 19 main species (canine, feline, avian, and ungulate) and allow for a massive array of sub species within those categories. Want to be every color of the rainbow? No problem. Want to create and run your own clan? Go for it. Want to play species not found anywhere else like marsupials, raccoon, chimeras, and hydras? Run with it. With an easy word count of 250 words per post, the only limits you'll find here is your imagination. Welcome to Rize.